Why Avoid Toxins in Baby Products? Have questions? "Like" the facebook page and post them there. Disclaimer: I do not have personal experience with the majority of these products. If I have used them, it is noted. I have done my best to document information I have received from companies via email, or whether I found it noted on their site. I will do my best to keep this information updated, but I cannot be held accountable for any changes, or anything that an employee misinformed me of. This registry serves to help as many people as possible, but if you have a major concern, I would suggest confirming with the company yourself. I think the thing that was most appalling when I started looking into toxins in baby products was the use of flame retardants in just about everything. Strollers, swings, mattresses, bassinets, nursing pillows, pajamas, anything with foam pads like changing tables, tub inserts, sleep wedges, etc... and somewhat understandably, car seats. Most are manufactured with toxic flame retardants, to protect all those babies that go up in flames while on their nursing pillows, changing pads, and let's not forget all the babies left in their strollers in burning buildings. Flame retardants, also known as PBDE's (polybrominated diphenyl ether) and Chlorinated "Tris," are being shown in study after study to be endocrine disruptors linked to a number of health problems, including infertility, neurological disorders, and even cancer. In addition to flame retardants, there are of course the dangerous toxins in the plastic used to make many baby items and toys, including BPA, phthalates and the worst of the worst - PVC. Taken from the HealthyStuff.org site, "From production to disposal, PVC is associated with the use and release of toxic chemicals. During the production phase, workers at PVC facilities, as well as residents in surrounding areas, may be exposed to vinyl chloride (the building block of PVC) and/or dioxin (an unwanted biproduct of PVC production), both of which are carcinogens." Phthalates are often added to PVC to make it more pliable, making it a toxic two for one. PVC...the thing some baby teethers and bath toys are made of! To learn more about vinyl chloride and the risks of its manufacturing, "Blue Vinyl" is an excellent documentary about a woman, motivated by her hysterectomy for cervical cancer at the age of 25, looking into why her parents changing the siding of her childhood home to vinyl may be problematic. The easiest way to avoid these toxins is to simply avoid plastics all together whenever possible. There are plenty of options out there for toys and gear made partially or entirely of natural materials. With the exception of a few items like car seats, plastic is not a necessity, and neither are many of the things deemed so by the Babies 'R Us stores, the online retailers like Diapers.com and other retailers out to get your money. I know that may be a difficult concept for some to wrap their heads around, because plastic is so dominant in the world of baby items, but I'm here to say that I know it's possible to skip many of the standard plastic baby registry products, because I did it myself. While some (but not all!) of these items may cost a little more than their toxic competitors, money can be saved by omitting several typical registry items. This may be a consumer based blog, but my intent is not to encourage mass consumption, it is to provide options that have a less harmful impact on the environment and/or the users themselves, or give ideas of products that can eliminate the need for other purchases - like replacements for typical disposable items. For those of you may think there is no way you could survive without a giant plastic exersaucer or swing, I implore you to reconsider. There is more to it than just toxicity. Last summer we rebuilt the deck at my husband's childhood home, and completely buried in the dirt, submerged for approximately 30 years, was a plastic tupperware cup. When we dusted the dirt off, it looked brand new - untouched, not a hint of decomposition, as if someone bought it the day before and buried it there. The only clue to its age was that it was avocado green. That was just one small, children's cup - imagine what one of those exersaucers will look like in 100 years? 200 years? Or one of those large outdoor plastic playhouses? If the tupperware cup is any indication, my guess is they will have changed very little. Then of course there is all of the polluting aftermath from manufacturing, including ocean and air pollution, and potentially poisoning factory workers. All of this for one item that will be used for a few months? A year even? I understand that people have their reasons for wanting such things, but all I'm saying is that I urge you to think of what is a necessity from a different perspective. All of that said, there are still lots of options out there with little or no toxins to round out a baby registry. When my daughter was born I used myregistry.com, so that I could add things from any site, including smaller retailers like cloth diaper stores. It worked out very nicely for us. As I said, here is an item where not only plastic is unavoidable, but flame retardants as well. However, there are manufacturers doing good things, and the good news is that not all of them are at astronomical price points. On July 16, 2012 Graco released a press statement saying that they are "committed to ban and monitor the use of [tris]" (PLEASE SEE NEW UPDATE BELOW!) and says that it does not use FireMaster 550 (a common replacement for PBDE's that is equally toxic) on any of their products. The pdf of the press release can be found here. UPDATE ON GRACO!!! (March 19, 2013): It seems Graco replaced Tris with yet another toxic flame retardant called TBBPA. Read more about it here. Britax manufactured "one of HealthyStuff.org's most toxic car seats in 2011," and in response to their findings, released a statement (found here) on October 4, 2011 saying they are focused on "reducing and/or eliminating the usage of all chemicals containing bromine or chlorine to all components, not just those that are in close or direct contact with children....we fully expect that all suppliers will be compliant by the end of 2012." The HealthyStuff.org car seat guide can be found here. It ranks all types of car seats (infant, convertible, booster) by toxicity ratings. They also have other children's products ranked on their site. Unfortunately, it seems that testing for car seats only goes upto 2011, and there is a note in the FAQ on the site that says they will be unable to screen car seats this year, which I'm assuming means 2012. I will definitely keep an eye out for any updated information. Orbit Baby has been a leader in minimal toxins in their car seats and strollers since they first entered the marketplace, but they are definitely at the high end of the cost spectrum. However, in 2011 their infant car seat still rated a MEDIUM on the toxicity scale found on Healthystuff.org. You can learn more about their green practice here. Despite that rating, they still remain at the forefront of the industry when it comes to non-toxic strollers and car seats. Stokke is even further up the price point chain, but also focused on reducing toxins. Although I can't seem to locate any retailers selling their car seat in the US. Evenflo has some car seats listed on sites like Target as "made in the USA and imported." I am still waiting on a response clarifying which of their other products are made in the USA. The people of Organic Baby University (nice job Jennifer!) have put together a comprehensive list of all of the companies, and all of their responses (or lack thereof) they received regarding toxins in their strollers. Make sure to check out all three parts! I was disappointed to learn that Bumbleride has changed their tune since 2008 when I emailed them about my stroller, and when I emailed them recently to confirm that they were still chemical free, I got a similar response as Jennifer, saying, "The foams that are used inside the fabrics are treated with flame retardants to meet CA's TB117 standard, however there are no chemicals used on the actual fabric itself." I ADORE my Bumbleride Flyer, so if you can find an older version on craigslist, I highly recommend it! I can remember back when I was looking for strollers for my daughter, I contacted Inglesina and Peg Perego, two companies that still make their products in Italy, and was dismayed to learn that they use flame retardants on everything. I recently confirmed that this is still the case. 4moms - (from email) "We build all our products with the highest quality standards in mind. Our products are designed and engineering in Pittsburgh, PA and our engineers work very closely with the line workers to help them understand why each step matters. We do most of our production in China, not because of the lower cost of labor (which is actually lower in many other parts of the world), but because we have a fantastic manufacturing partner there who shares our commitment to quality and is incredibly skilled. In addition to all the standard testing required by law, our suppliers help us test every lot of incoming material to make sure that it meets our stricter standards on lead, phthalates, strength, color, and dozens of other properties. We have the highest confidence that our products are safe. After all, we're parents too and our own kids use our products. Testing of all materials used in 4moms products is something that 4moms takes very seriously to ensure the safety and health of your child. We perform extensive testing to ensure we comply with all applicable US and International regulations. We also perform additional voluntary testing to ensure we have the safest, most innovative products in the industry. I'm unable to provide specifics due to the extent of our testing program, but can assure you that 4moms products meet Federal phthalates and heavy metal requirements." Just to confirm, I asked that no flame retardants were used on their products, and got this response: "We use many manufacturers around the world but car seats and strollers are made in China. Our strollers do not have flame retardants added to them." Combi - (from site) "Like most brands, Combi strollers are made in China however unlike most brands Combi owns and operates its own factory which is run according to very strict Japanese quality control principles. In addition to assembly, most of the components are in fact also made within the Combi factory." Maclaren - (from email) "our products are produced in China"
Phil and Ted's - (from email) "All of our buggy's are designed and engineered in New Zealand and manufactured in China." Britax lists its convertible and booster seats on their site as "made in USA w/global components" but it does NOT say that on the infant seats or strollers. They have yet to respond with clarification about where the infant seats and strollers are made. Evenflo searches show some items that are listed from the USA, so I'm still waiting to confirm which ones. If you are new to the concept of baby carriers, Quirky Baby not only has an excellent selection, but if you click on each type in the menu on the left, there is also a detailed description of every type of carrier before their selection, as well as a comparison chart. Still undecided? Quirky Baby has a quiz to help you figure out your needs, and if that isn't enough, Rachel is happy to answer any of your questions. If you live locally in NJ, there is a try before you buy program. She even offers private consulations in her home office by appointment. Don't live locally? If you have any small retailer close to you that sells carriers, many will let you at least try them on, and some may even let you try before you buy. There are also free babywearing groups all over the country, and I know the central NJ one has a lending library. I have been contacting manufacturers of many baby carriers, and this is the information I have collected so far. If the information wasn't readily available on their site, they were asked where their products are made, and/or whether or not they are treated with any flame retardants or other chemicals, including the foam padding (where applicable). I focused on carriers that contain foam padding, since that's where flame retardants usually lurk. If it was found on the website the link will be provided, and if it was from an email response, that will be noted. They are alphabetized and I will try to keep info updated, as well as add other brands in the future. To learn more about "Oeko-Tex Standard" referred to by some of the companies, click here. Origin: (from email) "BabyBjorn Carriers are made in various countries. I need to know the exact carrier and color specifically before I can tell you where it's made." So unfortunately, they have a LOT of models and colors! They were extremely quick to respond, so if the origin is of concern to you, your best bet is to email them what specific models and colors you are interested in. Chemicals? : NO (from email) "All fabrics used in BabyBjörn products that have a textile component that comes into contact with babies' skin meet the very stringent Oeko-Tex Standard 100 Class 1 which guarantees that there are no harmful chemicals used in the production of the fabrics. Active chemical products having flame retardant properties are banned within the scope of Oeko-Tex Standard 100, and therefore there are no treatments with chemicals to the fabrics used in our products in order to meet flammability requirements. In order to meet any flammability requirements of the Consumer Product Safety Improvement Act of 2008, BabyBjörn uses only natural fabrics in the production of BabyBjörn products, meaning that they are flame resistant by nature. (Versus using man-made fabrics which are very flammable and need to be treated to pass the standard)"
"Environmental Science & Technology magazine reported in May 2011 that the foam found in many baby products (e.g., portable mattresses, baby carriers, changing table pads, etc.) contains chlorinated Tris, or other flame retardants. These chemicals, while legal to use in the US, are considered toxic. This is not an issue for BabyBjörn products. Each of our products meets all safety requirements of the 2008 Consumer Product Safety Improvement Act, including those related to flame resistance, and they also are certified to a rigorous, international standard (Oeko-Tex Standard 100; Class I). This standard prohibits the use of flame retardant chemicals (e.g., Tris, PBB, TEPA, TCEP9, etc.) in products made for children. In short, your child’s well-being is our first priority. You can use all BabyBjörn products with confidence, knowing that they are free from health-hazardous substances." Babyhawk makes mei tai carriers that can be worn front or back, and can even be custom made with a choice of fabrics. These come in a regular and and toddler size (3 inches taller than the regular size). They also make the Oh Snap, with buckles and webbing instead of traditional mei tai straps. Origin: (from email) "We manufacture our carriers in Oceanside, CA"
Chemicals? : NO (from email) "All of our carriers have been tested for chemical additives and lead and have passed. We also do not use any materials that are treated with flame retardants." From the site: "Baby K'tan is a wrap without the wrapping. The Baby K’tan Baby Carrier is an innovative soft cotton baby carrier that is an ideal blend of a sling, wrap and carrier, providing the positions and benefits of all three. There is no other carrier available like it. It is a ready-to-wear wrap that enables parents & caregivers to comfortably carry infants and toddlers (from birth to 3 years) in multiple positions." Origin: (from email) "Our carriers are currently manufactured in Guatemala and China"
Chemicals? : NO (from email) "Our carriers are not treated with any flame retardants and all of our carriers (regular and organic) are tested for and are free of harmful chemicals, formaldehydes and azo-dyes"
Boba's structured carriers can be worn on the front or back, newborn to toddler without an extra newborn insert. They also make wraps, formerly known as the Sleepy Wrap. Origin: "All Boba Carriers and Wraps are manufactured with reputable companies located in China that adhere to strict labor laws. They also follow our strict policies regarding fair work ethics and are an integral part of the Boba Inc. family." Taken from Boba's FAQ page. Chemicals? : After not receiving an email response, I called and spoke to someone who said there were no chemicals used. However, when I asked her to email me something official in writing, this is what I received: "I did not find anything specifically on our website that speaks of being chemical free, however, we meet the standard of the CPSIA compliance. Please see the enclosed link." Catbirdbaby makes the Pikkolo carrier as well as a mei tai. From the site: "The pikkolo carrier is a unique blend of mei tai and buckle carrier that features comfortable but slim memory foam straps, enables you to do an ergonomic front facing out carry, can be used from birth without a separate insert, and still works great for carrying toddlers up to 40 lbs.!" Chemicals? : NO (from email) "No, we do not use flame retardants in our carriers." 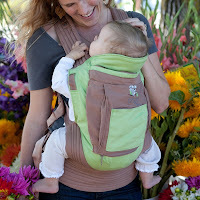 Ergobaby makes soft structured carriers that can be worn front or back. They offer inserts for newborns. Origin: (from email) "We started doing all our organic carriers in India. China is our manfacturer as well as Vietnam which is our newest factory." Chemicals? : NO (from email) "Our carriers have not been treated with any chemicals. We do not use flame retardants. There are no preservatives in the color dyes which makes the ERGObaby carrier 'child safe'." Lillebaby is a soft structured carrier that can be worn on the front or back. Origin: "Designed in the USA, manufactured in China...Factory conforms to social accountability standards" - Listed on site for each carrier under "quality and care" tab. Chemicals? : NO (from email) "There are no flame retardants in Lillebaby carriers." Maya Wrap ring slings have a padded shoulder for excellent back support, and are suitable for all ages from newborn to toddler. You can do a newborn hold, hip carry and even kangaroo carry. We LOVE our maya wrap! Origin: Guatamala - "It is Maya Wrap company policy that all those involved in the production of Maya Wraps are paid a fair wage in the local context, have healthy and safe working conditions, and are at least 16 years of age. We recently had this verified by an independent 3rd party and will continue to have this verified on a regular basis" Found on site, here. Chemicals? 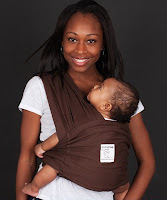 : NO (from email) "Our slings do not have any flame retardants or chemicals on them. They are hand loomed in Guatemala and then are washed before packaging them!" Moby now has a new structured carrier that can be worn on the front, as well as their original wrap that can be worn in the front or the hip. Origin: "Moby Wraps are made in Chiang Mai, Thailand by Moby Co. Ltd. which is owned jointly by the Moby Wrap founders and their Thai partners. The salaried staff enjoy generous wages, bonuses and health care. Most importantly Moby Co. Ltd. provides a friendly and respectful work environment." Found under "about us" on website. Chemicals? : NO (from email) "There are no fire retardants or other chemicals used on our wraps." We adored our moby wrap when our daughter was born. I loved it for grocery runs - I would put it on before I left the house and just popped my daughter in it when I got there. Chemicals? : NO (from email) "None of our products are treated with any chemical products. Flame retardants or otherwise. Along with the required CPSC standard testing, we also voluntarily test our products for flammability and solubility to saliva (neither tests are mandated, but we feel they are important). The solubility testing insures there is nothing nasty that can be absorbed by your child in any component we use to make our carriers." ﻿﻿If you really, really want a swing or bassinet but are concerned about the standard variety coated in toxic flame retardants, there are several hammock style alternatives. ﻿﻿Kanoe is MADE IN THE USA of organic cotton canvas, and comes in natural with khaki lining or Earth (brown) with Sky blue lining. 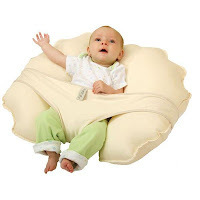 It is designed for newborns upto children 30 pounds. It is suspended from the ceiling with hardware, or they recommend several stands (scroll down to "Is there a stand?") sold elsewhere if you prefer a stand. NOTE: Based on customer feedback of poor customer service, Hushamok has been removed from this guide and is NO LONGER RECOMMENDED. Check back soon for the release of the update which includes many new options! ﻿﻿﻿﻿Another organic cotton hammock option is the Yayita hammock made by a company called La Siesta. It is a little more reasonably priced, and it can be used with a purchased wooden stand, or suspended from the ceiling with hardware. It is available at Nova Natural and you can purchase the hammock and stand separately, or together at a discount. ﻿﻿﻿﻿Cariboo Baby products are made in New Zealand, of sustainable materials. You can read more about their practices here and here. They make bassinets, changing tables, activity gyms, cribs, bedding and mattresses. Their products are available at these online retailers, and The Cariboo Store seems to have the best selection. ﻿﻿﻿﻿I have always told new mom friends that if you are going to do just a few things organic/toxin free, it should be the bedding, mattress and sleepwear. All of them are loaded with flame retardants, and mattresses have a slew of other things to be concerned about, like PVC and phthalates. When I contacted Carters years ago about their fleece pajamas, I was told that they now have a process where the flame retardants are actually part of the polyester fabric, instead of them being treated separately with it. But larger manufacturers like Carters and Oshkosh are starting to make affordable organic pajamas, if you are OK with those manufacturers. If you can't afford organic sheets for your own bed (as children often sleep there too), at least avoid "wrinkle free" ones - those contain formaldehyde as well (that goes for wrinkle free clothing too!). Larger chains like Target are starting to carry all sorts of organic sheets in all sizes, if you want to go with toxin free bedding but can't afford options not made in China. In fact, some like these for adult beds say "made in USA or imported." Bamboobino - makes bamboo sheets, towels, clothing and nursing pads (from site): "The viscose from bamboo fiber in all our products are Oeko-Tex 100 certified, and is made from OCIA & USDA-certified organically grown bamboo. The organic cotton in our products are also OCIA-certified. All our products are made in Vancouver except our socks, crib sheets and pandas, which are sourced ethically in Asia. Whenever possible, we use local suppliers." 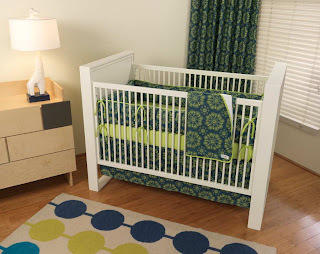 Carousel Designs manufactures all sorts of crib and toddler sheets made in the USA, but for the reasons stated above, I would stick with their organic line. One place we saved is not getting all the standard matching crib stuff and nursery decor. We didn't feel we needed a matching lamp and light switch cover and hamper...again, everyone has their own tastes, needs and desires, but that is definitely a place where parents can save if necessary. Holy Lamb Organics makes bedding, wool puddle pads and mattresses with organic cotton and premium eco-wool batting. They also make organic nursing pillows. Kelly Green makes all kinds of organic hemp, cotton and wool bedding, including mattresses. Naturepedic makes mattresses and bedding of all sizes (including bassinet, mini crib, cradle and cosleeper), mattress toppers and pads, contoured changing pads with no vinyl, PVC, phthalates or polyurethane foam, all waterproofed with food grade polyethylene. If the polyethylene still make you nervous, they now make a quilted mattress with no waterproofing. Pure-Rest Organics/Ecobaby Organics says on their site that "many of their raw materials and finished products are completely USA made." They make organic bedding, mattresses, towels and baby clothing. They have wool topped or quilted natural rubber mattresses in every size and even shape, including ones for mini co-sleepers, stokke products and even the Baby Bunk mentioned below. They also sell Pacific Rim furniture as well as the Baby Bunk itself. You can read more about their organic certifications here, and they have excellent resources about toxins here. Savvy Rest makes organic mattresses of all sizes, and bedding for adult beds. From an email: "Our mattresses and bedding are made in the U.S. The quilting for our casings is sewn for us in North Carolina and all of our mattress orders are custom-cut and completed at our facility here in Virginia. Not all of our materials are domestically sourced (latex is from the rubber tree which only grows near the equator, and some of our organic wool is from New Zealand because as of yet, there is not an adequate supply of North American organic wool to meet demand.) Our molded latex pillows are made in India. Our Dunlop latex is processed in Kerala, India, and our Talalay latex is processed in Connecticut. The Dunlop natural latex supplier has been fair-trade audited by Intertek." You can learn more about their rubber harvesting here. SOS from Texas makes a really affordable ($13.50) organic cotton baby blanket, among a few other baby items. Dax Stores carries a great selection of many of the brands above, as well as some brand unspecified bedding made in the USA. They also have a toxin free, organic nursing pillow and cover, as well as the Pacific Rim brand of furniture mentioned below. Little Spruce Organics is one my favorite stores, and has the best selection of wool blankets (mostly from Germany) as well as all things wool clothing and everything organic! They also give 20% off first orders! 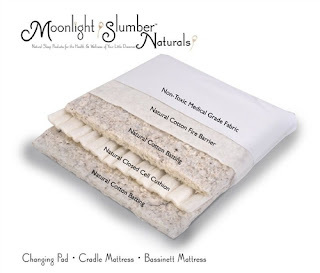 Nature's Baby Blankets has a huge selection of all things organic bedding and mattresses, and the Baby Bunk mentioned below. Organic Baby Garden has a large selection of organic sheets, clothing, towels, furniture and more from many of the brands featured here. Since children's furniture often takes a beating, the most budget and eco friendly thing you could do is scour flea markets or yard sales for dressers and just invest in a co-sleeper or crib. You can even convert a dresser into a changing table. Here is a quick tutorial for an idea using crown molding to add the ledge around the changing pad. While I loved my Arm's Reach Co-Sleeper and would love to recommend it even more, before my daughter was born I contacted the company and was told that they do contain flame retardants. We were unable to afford other options, so we opted for the mini co-sleeper with one of the EcoBaby wool covered organic mattress and the organic sheets for it. It was the best we could do within our means. Once she outgrew it we skipped the crib and put a twin mattress next to ours, with both on the floor so there was no danger of rolling off. I'm still waiting for a confirmation email from Arm's Reach that these facts about their flame retardants remain unchanged. The Baby Bunk is a solid maple co-sleeper, with a non-toxic finish and organic mattresses available. The bunk, organic bed skirt, sheets and mattresses are all available for purchase at Nature's Baby Blankets. Humanity Organics Family Bed is organic cotton flannel filled with eco friendly kapok (a natural tree fiber). 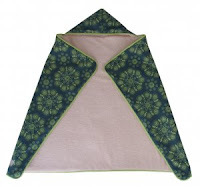 It is available at the manufacturer website as well as Nature's Baby Blankets. I didn't see any product origins on their site, so from an email: "Yes, the Family Sleeper is made in the USA. It is manufactured in Maine. There are no flame retardants or any other toxins sprayed or added to our products or pillow fill." 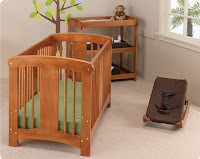 Eco Baby Trends carries a fantastic selection of gorgeous Amish, non-toxic nursery furniture. There are over a dozen styles to choose from, each so beautiful. They have bassinets, rockers, ride on toys like I've never seen, and more. They also carry the other USA brands: Holy Lamb Organics, Naturepedic and Pacific Rim. Kalon Studios produces very modern furniture of sustainable materials. There is a nice selection available at Layla Grace. 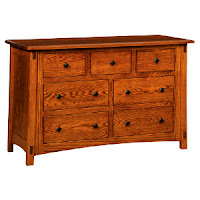 Pacific Rim makes nursery as well as adult bedroom furniture, from sustainably harvested maple, with non-toxic finishes. Dax stores carries a complete selection of Pacific Rim, and Eco Baby Trends carries two of their cribs. Babyletto is an affordable option for those not looking to spend several thousand on a nursery. Their furniture is made of sustainable New Zealand pine, lead and phthalate free, and has non-toxic finish. With the exception of the Grayson crib (and maybe drawer bottoms), their pieces are made mostly of solid, stained wood - not veneer or MDF. 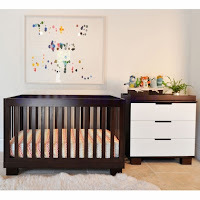 Simply Baby Furniture has an excellent selection, and if budget is the number one concern above anything else, the "Baby Mod" line sold at Walmart is the exact same furniture, just marketed for less money under a different name. Oeuf and Stokke are two other eco friendly nursery furniture brands available at many retailers. I am personally a fan of solid wood, and if you look closely at their descriptions, you will see words like "composite wood" or "MDF" (a step up from particle board), "veneer" and "plywood." All of this for a hefty price tag. For that reason, I can't really get behind their furniture. If you want to go 100% natural, waterproof material, then wool is the way to go! We cloth diaper with wool almost full time, and it is just amazing. It is naturally water repellent, stain resistant, fire resistant, has antibacterial properties and when it comes to changing pads - it can absorb 35 - 40% of its own weight in moisture. Where bedding and clothing are concerned, it is also breathable and regulates body temperature. There are lots of felted and interlock varieties of wool that are actually machine washable, but some do still require hand washing. 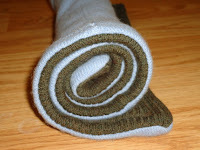 Firefly Diapers makes a $22 wool changing mat that is made in the USA and machine washable. From their site: "Won’t shrink like knit or hand-felted wool changing pads." Oeuf's Pure and Simple Eco-Friendly Contoured Changing Pad is one of the more affordable contoured pad options I found, at $48. From an email: "The foam used in our changing pad is plant based and the actual plant used to make it comes from the magnolia family. The cover is made with damask and the wetproof backing is made with food grade poly-urethane, which passes Greenguard. It also is important to know that our pad and mattresses are all Greenguard certified for children and schools and are free of: lead, PVC, phthalates, BPA, formaldehyde, PBDE, phosphorus and arsenic." You can find the Moonlight Slumber pads at Baby Earth. 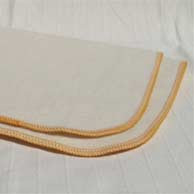 EcoBaby Organics wool topped natural rubber pads are sold in a number of sizes, including the 18" x 36" size (select cradle from the drop down menu - for some reason changing pad which is the same size is not registering). It is not contoured, 1.5" deep and costs $142. It is also available at Dax Stores for a few bucks less. While made of plastic, baby tubs (especially when kids outgrow the sink) can conserve large amounts of water, and save time filling the tub. Plus, if you're anything like me and hate keeping up with cleaning the sink and bathroom tub, it can make life a little easier. The Prince Lionheart Washpod, Spa Baby and Tummy Tub are all versions of the European upright tub design, started by Tummy Tub. The concept is that the position simulates the womb and comforts the child. I can attest that my daughter loved her PL Washpod from day one, only fussing when we took her OUT of the tub to dry her off. All are BPA, phthalates and PVC free. (Since this is not noted on the Prince Lionheart website, I received the following email: "The WashPOD is made of 100% polypropylene and the pillow is polyurethane foam. They are both BPA, phthalates and PVC free. The WashPOD is made in China." Just to confirm, since the main danger of polyurethane foam is that it is often manufactured with flame retardants, even though this foam is submerged under water, I wanted to be sure and it was confirmed via email that it does not have any flame retardants in the foam. If you choose you could take it out, or just opt for the Spa Baby or Tummy Tub. Spa Baby also has an "Eco" version which is made of recycled plastic, but their competitor, Tummy Tub states, "Recycled polypropylene may be contaminated and the consistent quality cannot be assured. Therefore recycled material should not be used for a hygienic product such as a baby bath. Recycled material is a great idea for producing other items such as planters." Boon also makes a toxin free "Naked" infant tub, which is collapsible. However, the upright tubs above can easily be reused long after the baby outgrows them, for any number of things, whereas the boon tub is single purpose. I use our washpod to lanolize my daughter's wool diaper covers. 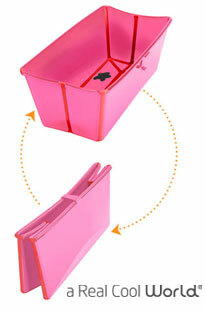 Prince Lionheart also makes a collapsible tub free of BPA, phthalates, lead and harmful materials. It is available in pink, blue, green and white. There is also a FlexBath Support that can attach to it to hold up younger babies. It was confirmed via email that the flexi-tub is made in Denmark. LEACHCO? Yes, they are made in the USA, but while attempting to find out whether any of their baths contained BPA, PVC or phthalates, I was directed to their FAQ page (which I'd already read) that only discusses their products not containing flame retardants. I replied that their response didn't answer my question, and I wanted to know if it contained those chemicals, not flame retardants. I got no response (which has been a tip off that it means they do). I will continue to try to follow up. Organic Baby Garden has a nice selection of organic bath towels (including Bamboobino, Coyuchi and Cotton Monkey), as well as clothing, furniture and more from many of the brands here. AFFORDABLE OPTION: if budget is a concern, larger retailers are starting to carry organic towel and washcloth sets, like this one here. I've witnessed many a facebook survey on breast pads, and the winners are always Bamboobies and wool pads. Wool? YES! WOOL! It can be very soft, and it is super absorbent! Bamboo is also incredibly absorbent. They are both my two favorite fibers for cloth diapering. LANACare is really the gold standard of wool nursing pads and they make numerous sizes and thicknesses of pads. Danish Woolen Delight sells them, as well as LANACare blankets and wool clothing from Switzerland. You can read all about their practices and the wool they use here. Just Fussy is a mom run business that makes the best of both worlds. Her pads are topped with soft organic bamboo velour, have a hidden bamboo fleece core, and are backed with organic merino wool. Custom sizes can be made. If you are looking for a postpartum mama cloth option, her pads are exceptional. You can read the review I wrote about them here. Loveybums is another mom run business that offers an organic velour pad or an organic wool pad made with two layers of soft wool jersey. Dax Stores carries a great selection of many of the brands above, as well as some brand unspecified bedding made in the USA. They also have a toxin free, organic nursing pillow and cover. Leachco makes an organic "Cuddle-U" nursing pillow cover. They are MADE IN THE USA. I ADORED my cover! Unfortunately, the stuffing is synthetic and not organic, but it can be used on one of the pillows above. My daughter loved napping in it. When she was tiny I did need to prop something under her rear to keep her more level, but as she grew that wasn't a problem. Unfortunately, while the cover and the pillow are available several places, the only place I can currently find that sells JUST the replacement cover is Walmart. It would be very easy to modify another cover like this, as the straps just fasten with velco on the underside of the pillow. MY FAVORITE NURSING BRA? - you can read all about it in another post I wrote here! The Glass Baby Bottle has a PHENOMENAL selection of glass, stainless and non-toxic everything food and drink related, including the Brinware Tempered Glass Dishes and Be Kind Silisippers that I've previously reviewed. They also carry the natural rubber bath toys I've reviewed, and a number of other baby care, maternity and baby gear items. 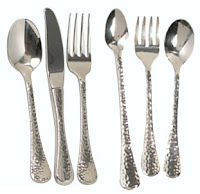 For Small Hands carries this adorable set of hammered stainless steel flatware, in a variety of sizes for baby, toddler and child (including a butter knife in the 3-6 year old child size). It is made in Mexico. 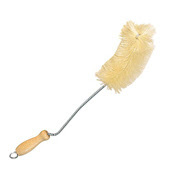 Life Without Plastic has the best selection of plastic free, natural bristle bottle brushes. They are made in Germany. Unfortunately, traditional pack 'n plays are chock full of toxins and synthetics. We didn't travel much, so this was one area we saved money and skipped. However, I'm sure there are many out there who do more traveling than we did when our daughter was young! Nuna makes an interesting looking travel crib called the "Sena", but I noticed it was missing on their page touting the green characteristics of their products. From an email: "The outside of the mattress is made of polyester. The inside is comprised of fiber fill and does contain a low amount of flame retardant." Organic Moses Baskets are probably the most natural and eco friendly solution, although somewhat limited when it comes to size. This one sold at Nature's Baby Blankets has everything included, even the organic mattress and bedding, and beyond traveling, I could see how this would be nice to have at home as well, as a portable bed for naps in any room of the house. MADE IN THE USA. BabyBjorn makes a larger, more traditional option for those looking for a little longevity for their money. All the fabric in the crib is Oeko-Tex certified, and as for the foam mattress, (from an email) "In order to meet any flammability requirements of the Consumer Product Safety Improvement Act of 2008, BabyBjörn uses only natural fabrics in the production of BabyBjörn products, meaning that they are flame resistant by nature. (Versus using man-made fabrics which are very flammable and need to be treated to pass the standard). Please see attached statement." The statement said, "Environmental Science & Technology magazine reported in May 2011 that the foam found in many baby products (e.g., portable mattresses, baby carriers, changing table pads, etc.) contains chlorinated Tris, or other flame retardants. These chemicals, while legal to use in the US, are considered toxic. This is not an issue for BabyBjörn products. Each of our products meets all safety requirements of the 2008 Consumer Product Safety Improvement Act, including those related to flame resistance, and they also are certified to a rigorous, international standard (Oeko-Tex Standard 100; Class I). This standard prohibits the use of flame retardant chemicals (e.g., Tris, PBB, TEPA, TCEP9, etc.) in products made for children. In short, your child’s well-being is our first priority. You can use all BabyBjörn products with confidence, knowing that they are free from health-hazardous substances." There is a link on the BabyBjorn page to find numerous online retailers, many of which sell extra sheets as well. They are available at Baby Earth. As far as the product origin? From an email: "BabyBjorn travel light cribs 2 frames are made in Sweden, the fabric is made in China." Some may be wondering about Svan, a company who touts an eco friendly bouncer. What do you get for that hefty price tag? According to the email I recently received, you get flame retardants. I received an email stating, "The flame retardant that is used for the foams and fabrics is Ammonium Polyphosphate"
Nuna makes a bouncer called the LEAF, touted on its site to be all kinds of eco friendly with Oeko Tex certified fabrics. They even talk about the content of the foam being "free of harmful substances" on their "certifiably green" page. 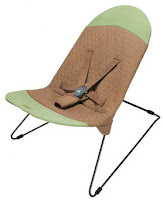 However, email confirmation proved that the LEAF bouncer does contain flame retardants in the padding. Another brand that will be missing here are the Bloom Coco Loungers. I sent my email late at night, and got an immediate response. It was interesting getting into an IM-like email correspondence with someone from a company, as it can sometimes take quite a while to get a response. I thought something was fishy when the first response I got was asking which loungers I was referring to? I was immediately tipped off that there must be some models they'd rather not answer my questions about, while others are OK. So I responded, "All of them." This was the response I received, and those who are still interested in them can do with the information what you want, but I don't want there to be any confusion over which model I recommend, which has flame retardants, which doesn't, etc... "coco wood is made in europe; coco plexi made in china, using highest possible grade german acrylic; coco go is made in china - no formaldehyde, no toxic chemicals. For coco wood and coco plexi we do not use flame retardants on the seat pads as it is not needed. For coco go we use non-toxic flame retardant on the seat pad." So I responded, "What is the 'non-toxic flame retardant' used?" And suddenly, our quick IM-like correspondence was over. I did wake up to an email saying that since it had been after hours, they would have to refer my question to the engineering department, but despite my responding again, I have not received a response. I really don't need one. BabyBjorn - My number one choice! Made in Sweden (confirmed via email that all models are made there), and if you read the statement posted above with the travel crib, it is free of toxic chemicals. I love that it can convert to a toddler chair when you detach the harness (which we did until she started using it as a stool to climb up on things), that it folds flat if you'd like to store it for more children, and it's adjustable to lay back for infants. And the best part? Aside from the base, there is almost no plastic. It's just a frame with fabric stretched over it. My daughter loved this thing so much! I was skeptical because it requires the child to move it, but once she figured it out, she would get herself going so much her back would be bouncing off of it in the air! I also think that has to do with why she got so strong so fast. It was like a little baby workout. The toy bar was wonderful too (note - the red on the face in the middle and the petals of the flowers are plastic). I remember how excited I was when she first reached out and spun those toys. The only thing I'm sad to see is these have nearly doubled in price in the three years since we got ours, and the toy bar has gone up by $10. But I still think it is worth every penny! There is a link on the BabyBjorn page to retailers, but we got ours at Baby Earth. Maclaren Eco Bouncer has been discontinued by the manufacturer, but I have come across it a few places and since the pool of non-toxic bouncers is so small, I thought I would put it out there for now. From an email: "we are pleased to confirm that all of our Eco range are made of recycled materials and do not contain any fire retardants in the products produced for the USA." It is still lingering at a few places. 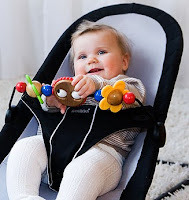 Albee Baby has one for $29, but note that it is only rated for children up to 6 months. We used our bouncer WELL beyond that time frame. Oeko-Tex certified material, with a bouncer that converts to a carrier and fits inside a rocking daybed. I'm still waiting on an email response confirming info about this set, but until then, I called and the woman I spoke to could only provide me with a write up about their crib mattress. NOTE: This is regarding their Sleepi, mattress - still waiting on response about bouncer/daybed. "The foam Stokke Colgate Mattress was designed and engineered specifically for use with a Stokke crib. We use a fine Damask Cloth cover with waterproof backing. The cover is soft to the touch yet durable because it is made of high quality cotton and cloth. We use cloth binding to sew the mattress as it is one of the strongest ways to close a mattress. Underneath the cover, we use a flame-blocker barrier fabric which is a natural cellulose fiber which is not sprayed with chemicals to exceed all federal and state fire laws. Colgate uses an all-natural, internal fire barrier. It is made of inherently fireproof materials with no topically applied chemicals, retardants or other additives. Further, it is a barrier fabric which is underneath the cover - exceeding all current Federal and State regulations. All of our materials are non-toxic. There are specific Federal regulations that we must meet with regard to the chemicals used in our raw materials. We meet or exceed these Federal regulations. The Stokke Mattresses actually meet a European Standard which is considered more stringent than the US safety standards. Our mattresses do not "off-gas." Colgate uses a third party independent testing labs to test for harmful substances as well as maintaining a rigid quality standard." I could probably write a post almost as long as this on cloth diapers! This blog is not even a month old and there is much more to come with reviews, giveaways and more on cloth diapers. If you want to stay up-to-date, "like" our facebook page for updates! In the meantime, I will start with my favorite larger cloth diaper retailers, that have excellent selections. Most have low minimums for free shipping, as well as incentive programs where for every dollar you spend you earn money towards future purchases. Wooden baby gyms make an excellent alternative to ones with polyester fabric and dangling plastic toys. Wow. That is a comprehensive list, and surely took a lot of work. I would have loved to have had that when I was making my registry. I am sure that there are even more things out there that we could add! For sure I would rather have fewer high quality items rather than a bunch of chemical laden things. Nice job, mama! Thanks for including my item in your listing. (Play Gym by Highland Wood) Your list and writeup is very comprehensive and can serve well as an introduction for new moms and families towards a healthier environment for their baby. All the items that I develop and introduce to the marketplace are backed with over 30 years of direct construction experience and research in sustainable woodworking, thus creating the finest possible in design, function, quality and most importantly safety. It is extremely disheartening though to see a similar structure included in the listing that was directly copied from my design, with only subtle changes in appearance. I'm glad you like the guide. I'm sorry you feel that way about the other design included. I just assumed you both used the Selecta Musina play gym from Germany as your inspiration, which has been around for many years. Wow, I am so glad I made the choices I did! I had to do my own research when buying for my baby (who is now 1) and went more with the "less is more" approach. My research was EXTENSIVE so I know how much time this takes. We LOVE the BabyBjorn bouncer. My son STILL sits in it and plays with the wooden bar. Even though he is breastfed we used LifeFactory glass bottles (like the 2 times he took a bottle) and now we use the bottles with convertible container lids for snacks. What I love most about living with natural products, is that when we decide to opt for something that IS plastic, I don't feel like its just another contamination to his environment. By selecting very few plastic/chemical laden toys/containers/whatever, I feel good about limiting his exposure to just those few items. So wonderful to find you site! I had a similar journey with infertility that also led me to look at the massive amount of chemical exposure to everyday products that are endocrine disruptors. Now a mom of 2 after several treatments, I found your site doing research on high chairs. Keep up the good work. Such a helpful post! Thanks so much for sharing your research. Was looking at the Arms Reach Co Sleeper too - trying to tell from your post- did you end up going with that? Im trying to at least replace the mattress part - but hard to fit that space. You said you used the EcoBaby wool mattress to fill it in - googled that but not sure I have the right thing. Do you have any more info on that? thanks!! I am 15 weeks pregnant and am SO grateful for this list! You have put together some excellent resources to consider. Thank you so much! Very excellent post! Thank you providing us this information. Non-toxic gears are very essential for kids since they are vulnerable to illness and every parent must be aware of what types of baby products to buy. Thank you so much for this list! It has been such a help as I put together my registry. I was recently given a few baby sleepers and bouncers and contacted each of the manufacturers to inquire whether or not these products contained any chemical fire retardants. Tiny Love - Rocker Napper 3 in 1. The rep with Tiny Love said there are no fire retardants in any of their products. There products are also free from BPA, Phalates & Lead. Summer Infant - Resting Up Napper. No chemical fire retardants. Graco - Sweet Peace. No chemical fire retardants. Thanks Katy! I will definitely look into those. Sometimes it can be tricky and it depends on how responses are worded. Some will say there are no flame retardants on the fabrics, but when pressed further, there are in the foam padding. I will double check and add these if I can. Thank you so much! Any confirmation that the Summer Infant Napper doesn't contain fire retardants? The fact that they worded it "No CHEMICAL Fire Retardants" sounds like it could be a bit deceiving. Thanks so much! Thanks for the Blog info! I wish I had come across this earlier before doing a lot of my own research. However, it was great to see some of the items I'd purchased confirmed here, as well as great recommendations for the towels, toys and gyms. 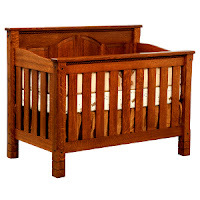 One quick note, I went with a Young America crib, which is Greenguard certified. I will check it out - thank you! So gladl you like it! Thanks! HOW is the baby bjorn bouncer "naturally" flame resistant as you mention when the cover is made from cotton? I've called the company and received the same statement that you posted: "In order to meet any flammability requirements of the Consumer Product Safety Improvement Act of 2008, BabyBjörn uses only natural fabrics in the production of BabyBjörn products, meaning that they are flame resistant by nature." This seems not only misleading but false. Cotton by nature is flammable. Cotton mattresses, for instance, only meet the flammability tests when wrapped in wool, which IS naturally flame resistant. Please clarify or adjust your statement online. If you are concerned about your baby igniting in a bouncer, there are probably hundreds of products for you to choose from that are treated with toxic chemicals to nestle your baby in. I'm merely reporting directly as I heard from the company - it is up to the reader to do what they choose with that information and make their own decisions. Lovely work you have done so far. i am really impressed. Thanks for a great comprehensive list of products. I purchased the oeuf contoured changing pad based on your suggestions and it arrived today. It says it is made from urethane foam and fiberboard. While they claim it is plant-based, I was reading some things online saying that it is possible that only a small amount of it needs to be plant based and the rest can just be petroleum based. Does anyone else know anything about this? As noted in this post about my findings from the email from Oeuf, the waterproof backing of the cover is what is made of polyurethane, which passes Greenguard. It is the foam filler that is plant based. Sorry for any confusion. Just wanted to add that the Primo EuroBath Tub is also BPA free, Phthalate free, and Lead free. And the design is awesome! I stumbled on this post while looking for flame retardant free toddler chairs that are soft and not made of polyurethane foam! I've looked at the Nook Pebble Lounger, but it's $300…any suggestions? Great, well researched list. What a great resource for parents and parents-to-be! Thank you for putting it together! any advice on portable changing stations? everything i can find has PVC's or phalates. there was one made by a company called journey light that looked great but they seem to be out of business. Thank You for this amazing list!! I editted my registry and added some fabulous items thanks to YOU!! You could add Java play gym color fun. In addition to being wooden, you can add more of your own wooden or organic cotton toys. Most of the other wood gyms do not really have that option. Our 2 month old LOVES this gym! Price on Amazon: $65.60 and free ship. Stupid auto correct! Should say HABA not java! Wow thank you SO much for doing all this comprehensive research!! I'm working on my registry now as I'm currently pregnant with my first child and there is so much information out there and so many product options, my head is spinning :-) This is an amazing list and I've already saved the link for future use...I'm sure I'll be back many many times. Thank you!! This is a great list! I have an Arms Reach mini co-sleeper and would like to replace the mattress, but I'm trying to figure out what kind of support board to use under the new mattress. 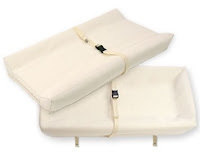 Does the Ecobaby mattress require a support board, and if so, what did you use? Hello - thank you for all this info. I was looking at the BabyBjorn bouncer and the seat is made of polyester. Is that a concern? Thank you for this great post! I contacted Boba regarding flame retardants in their carriers, they said no, they do not use flame retardants. Hello! Was wondering if you use flame retardants in your carriers. Thanks! No we do not, thanks for asking, Jen! If anyone has any recommendations as an alternative to an Exersaucer, I'd love to hear them! I'm interested in using a PRIMO Eurobath, and see that it's made in the U.S.A., but am unclear if it is chemical free. Do you have any more info about this? Also, I've used the Breastfriend nursing pillow for both of my little ones. I know that it's not organic, but after looking on their website, it says that they do not use any fire retardent in their foam. Do you know any more about the safety of this pillow? My little ones have spent a lot of time on it! Great blog! Thank you for sharing all of your findings. Just wanted to let you know so you can update your Boba Carrier information. I emailed them and received a quick response back to my question on whether the carrier or any padding was treated with flame retardants. I'm hoping you can help me. Your blog is my go-to before I purchase products for my baby and has been an amazing help. I currently have an Orbit car seat and am looking for something less toxic. Non toxic would be ideal but I don't know if that exists. I contacted Stokke and unfortunately, they do not sell in the U.S. because regulations are different. I see that the car seat post hasn't been updated in some years and I'm hoping you can point me in the right direction for the best car seat, least toxic there is... what do you use? Thank you so much!! I keep coming back to your blog, I love it so much! Just a note that the Babyletto cribs aren't actually lead-free, but lead-safe, so there is a small amount of lead in them. 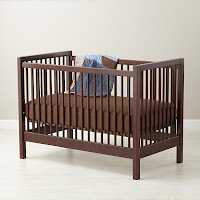 If anyone chooses this crib, be sure to get a teething guard ASAP before your little one starts to gnaw on the rails. For what its worth, i emailed Babyletto about the lead safe vs. lead free conflicting info. They clearly need to get more aligned with correct info but this was their response, "Thank you for bring this to my attention. I have found out our furniture is lead and phthalate free. Our products are compatible with the current requirements that lead does not exceed 0.1% by weight. On our test reports it show the lead levels as Non-detectable and lead free." Don't know about the other metals and if their products come without paint, but thought this might be helpful. Excellent post! it has very useful equipment for child.After seeing these articles it seems it is very comfortable for child.Thanks! We provides best baby clothes and if you are looking for best men cloth and best women cloth we are the best. we also provide the earth friendly accessories. I've been communicating with the company that makes the Baby Mod/Babyletto cribs and while they have a non-toxic finish, it is oil-based and their cribs are NOT lead-free or phthalate-free. That being said, they claim to have very low levels of these substances, but many people are under the misconception that it is free of these toxic chemicals. Just an FYI for anyone reading. Naturkind Kinderwagon is an all natural stroller/pram made in germany, I wish more american natural mommas knew about them! Thx for a ton of info! Came here for the babybjorn bouncer. Sure the BabyBjorn bouncer is a bit pricey but consider this: I have a bouncer that is over 10 years old and is currently being heavily used by a 5th baby/child, you can check it out at BabyBjorn Bouncer. They never go for a poor price as a used item if you take good care of it and that's the catch... it is a really good design made from excellent material so you can take care of it really easily. Just pull the fabric off and wash it. And when you don't need it or wanna transport it you can fold it up and you're good to go. Definitely and excellent item! Many thanks for this useful list. I just wanted to let you know that in 2012 they conducted tests in Germany and they found a toxic substance called antimony in the textile of the travel crib Bjoern. I only have the link to the German webpage (in German) but it seems this product is not safe at all. Hello. Please let me know if I can help you with anything. bloom customer: Hi I would like to know if coco go organic 3-in-1 lounger is made with any flame retardants? frank - nyc: there are no added or harsh chemicals to pass the FR testing. the materials used are naturally FR so we do not add anything thats not needed. bloom customer: and what are the specific materials used that you mention are naturally FR? bloom customer: And nothing else other than organic cotton is used in the material, such as the seat of the lounger? It has nothing else in it? Based on my interaction with them, this exchange still seems fishy to me. Often times polyester has flame retardants worked into the fibers, so companies are able to say there are no "added" flame retardants. They do this all the time with children's pajamas. Polyester is often code for flame retardants built in. This is not a true organic item!!!!beware! So I did thorough research before buying a carrier because I happen to know a lot about toxic chemicals and I settled on the ergo baby organic carrier with the organic infant insert. Well upon arrival I felt the straps of the carrier and guess what was inside? Nope!not organic stuffing like ergo baby states it is EVA foam it's also in the bottom portion of the carrier! I also paid extra for an organic infant insert As opposed to the regular insert and alas there was foam inside the bottom of the insert pillow as well! I called ergo baby and they confirmed that there was indeed EVA foam in both of these items. There are low amounts of formermine inside their EVA foam. Formermine causes reproductive cancer. EVA foam is what playmats are typically made out of. Germany and France have already outlawed EVA foam play mat but of course America Would never do that. We're too concerned about the bottom line. In any event I asked them Why it was stated on the carrier itself, the box the carrier came in,and all of the information on websites Where there was information about the carrier and insert, That it was 100% organic with organic cotton outside and organic cotton inside and why it did it not state that there was EVA foam Inside ? Ergo baby told me legally they didn't have to disclose the fact that the foam was in there. The lady tried to wiggle out of it by saying well this foam doesn't really touch the baby I told her the foam, the chemicals inside the foam everything that has to do with foam off gases and comes through the material! You will probably be in the sun with your baby and carrier, And with the sun beating down onto the foam It will Ofgas more! You don't want your baby's face is right next to the foam so he's breathing it and even if you get the chew straps, you don't want to mouth anywhere near the carriers straps! i asked to order one without foam. They said they can't accommodate me because it their Warehouse volume is too high to accommodate my needs I said well that figures that's why you're saving money on crap foam and putting babies health at risk instead of filling it with organic cotton stuffing as you misrepresent that you do!! In any event what I ended up doing was purchasing a seam ripper and opening up the seams on both sides of the straps removing the foam with gloves on of course and removing the foam from the bottom portion of the carrier And from the pillow in the infant insert and then sewing it back up with some organic soy cotton batting. Just be wary people you need to call the manufacturer never trust when they say something organic or non-toxic without first checking all of the materials MSDS reports and facts because there's a lot of companies out there that are green washed and scamming people At the expense of our little one's health!! Now I am leaning toward the Lillebaby, but I want to make sure that they don't use flame retardants first. Anyone have any info on this? So far we've looked at Chicco and Britax for infant car seats. I know that Chicco is made in China, I've seen that Britax is made in both China and USA... not too sure which seats are made where. It'd be great if the companion provided more info on that to parents!